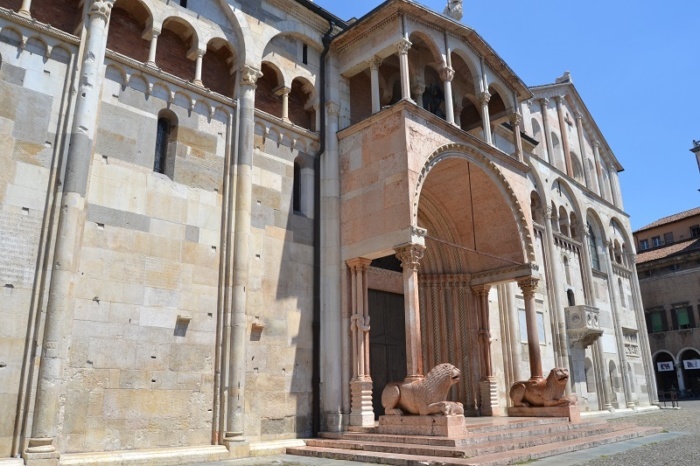 the Ghirlandina tower and the wonderful cathedral, one of the masterpieces of European romanesque style. Inside the cathedral it is possible to admire the Nativity Scene in terracotta by Antonio Bergarelli, the reliefs of Anselmo da Campione and the “Madonna della Pappa” by Guido Mazzoni. On the main square is the “Palazzo Comunale” – City Hall -which is richly decorated inside with important frescos from the sixteenth and seventeenth centuries and where it is possible to see the famous “Secchia Rapita” (the stolen bucket) one of the symbols of the city, mentioned by Alessandro Tassoni in his celebrated comic-heroic poem. The tour will then proceed with a visit to the Jewish Ghetto. If you want to receive informations or to book this itinerary, click here!